With four unique stalls selling a variety of affordable cuisines, from Western to Japanese and even local delights, [email protected] might be best described as a modern-day coffee shop bistro. 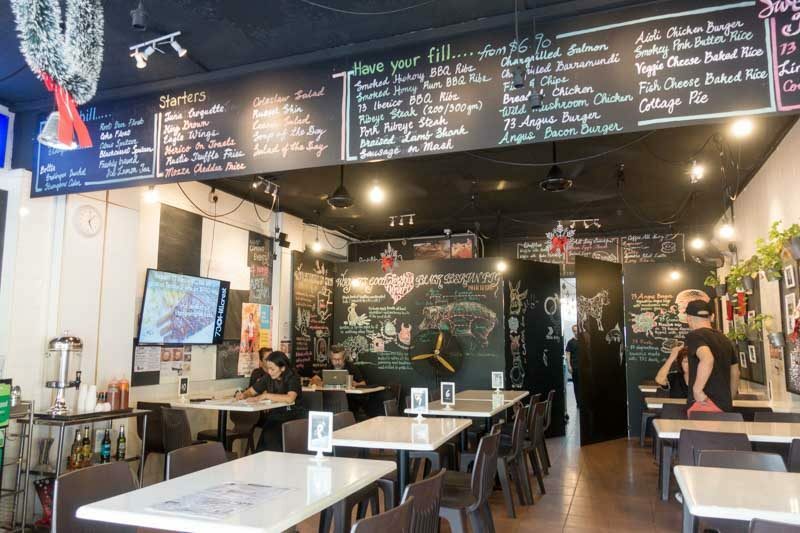 Nestled along Greenwood Avenue, this humble eatery operates just like a small kopitiam in the afternoons where you can head straight up to one of the four stalls to order your meal. At night, the space is transformed into a bistro-bar where jamming sessions and game nights are hosted by residents in the area. Opened in mid-2015, [email protected] is definitely a refreshing addition to the mix of restaurants and shops in this high-end neighbourhood. Its owner, Yau Boon, is a resident in the area and saw a lack of affordable eateries that catered towards students and workers. Despite having zero F&B experience, Boon decided to open [email protected] and brought in various food vendors so that the eatery would have a wide variety of cuisines to cater to everybody. When we visited [email protected], it was midday and the stalls were closed to the public to let its staff rest and prepare for the evening crowd. The four individual stalls were closed to our disappointment, but Boon was still able to serve several highlights from each of them. 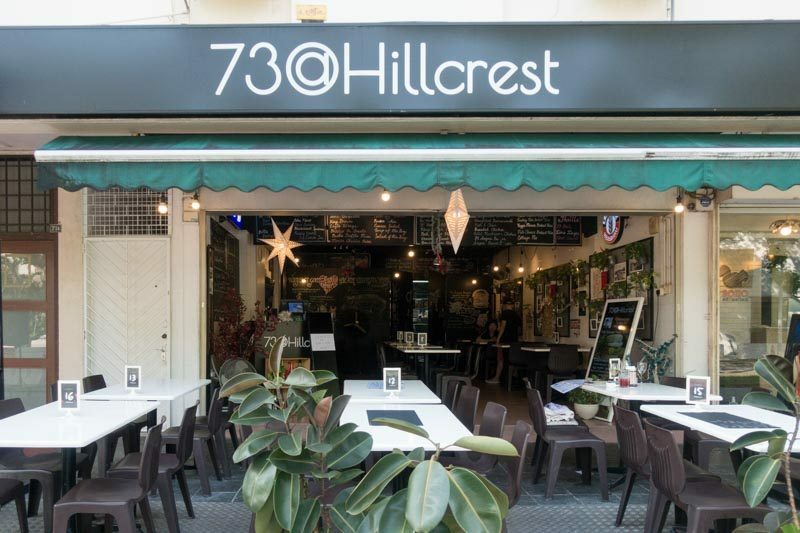 [email protected] has an indoor and alfresco area, but do note that it’s not air-conditioned and can be pretty stuffy on sweltering days despite having ceiling fans. 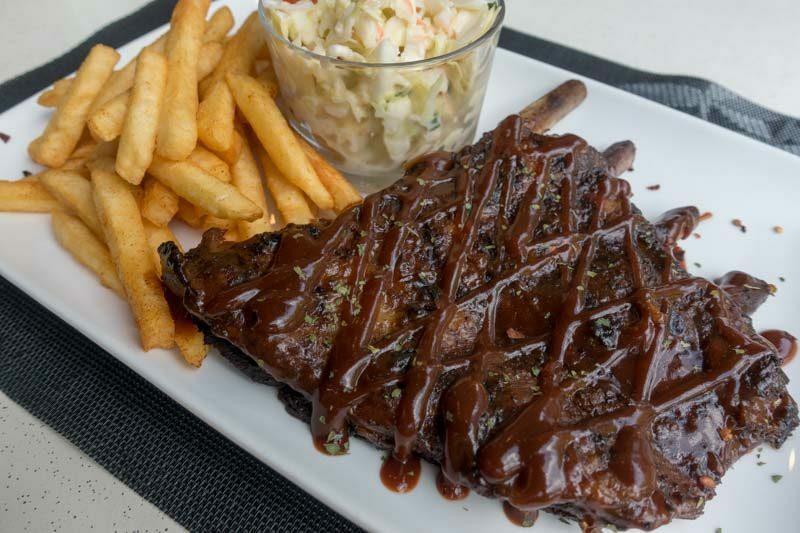 First, we tried its signature 73 Iberico BBQ Ribs (S$29.90), which was served with cajun fries and fresh coleslaw. 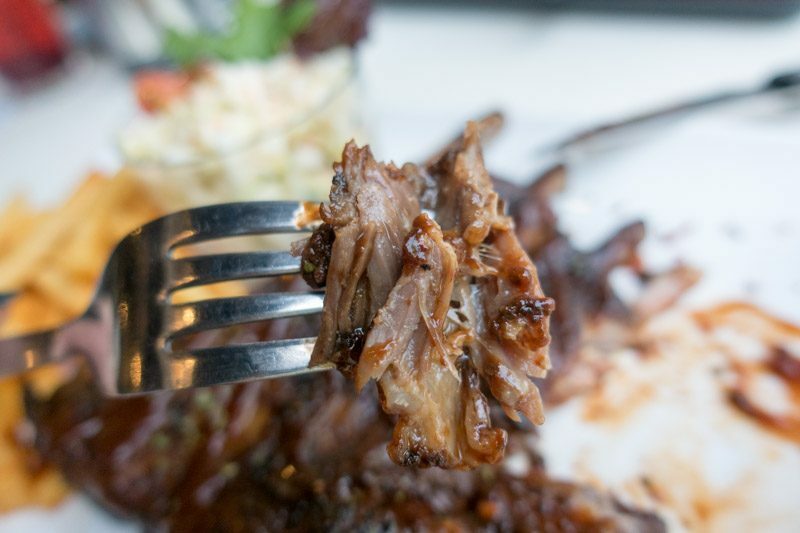 The smell of barbecue sauce hit me immediately when the plate of ribs was served and its mouth-watering smoky scent made me want to pick them up right away. 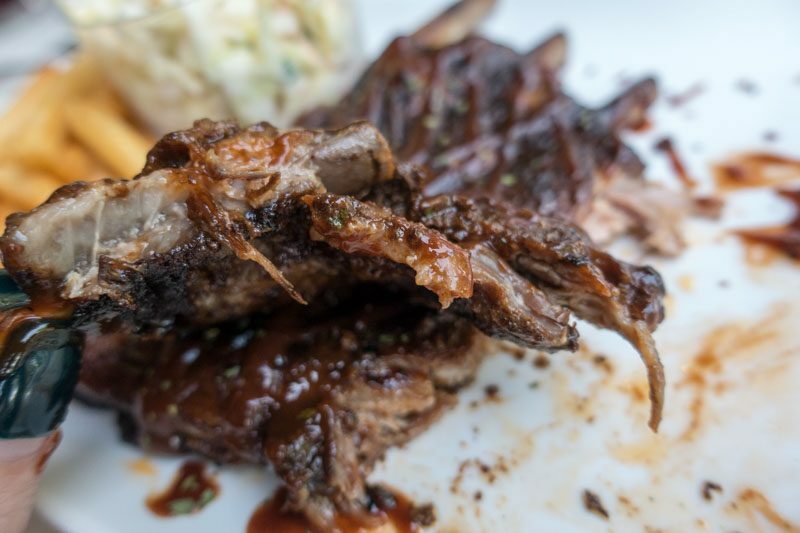 Just like how a plate of good pork ribs should fall off the bone easily, [email protected]’s 73 Iberico BBQ Ribs was so tender and soft that I had trouble picking them up. The meat was soaked in barbecue sauce, which had tinges of cognac for that extra smoky kick, and thin layers of gorgeous fat lined the meat, which made every bite succulent. The pork rib itself was fork tender, almost resembling pulled pork in the way that it came apart. I didn’t even have to use my knife at all! Taste-wise, this dish was absolutely spot on. The pork rib’s skin was charred slightly, so every bite was sweet, caramelised and a tad crispy. The barbecue sauce itself was tangy, smoky and packed with herbs and spices. I could taste hints of garlic and rosemary, and the sweet undertones of tomato really shone through as well. 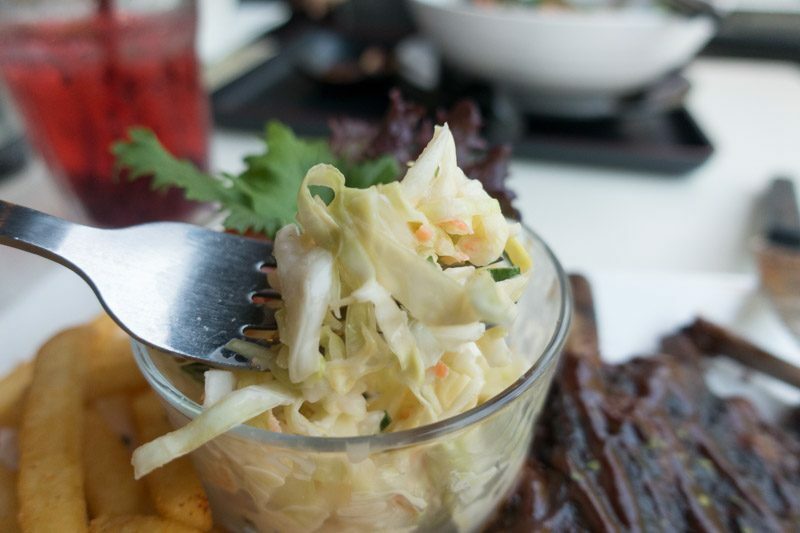 Accompanying the pork ribs was a small bowl of cold coleslaw. What I really loved about [email protected]’s take on this Western staple was the fact that it wasn’t drenched in thick mayonnaise. It was light, fresh and crisp and there was just enough dressing to coat the finely-shredded cabbage. I could taste a tinge of mustard and white vinegar, and as a side dish to an already heavy main, I thoroughly appreciated that this side dish whets my appetite and cleansed my palate at the same time. Sold by the local delights stall, the Seafood Mee Siam (S$6.50) was really slurp-worthy and something I’d definitely come back for again. For its price, the portions were huge and even came with large prawns, mussels, a generous amount of bean sprouts and sliced egg. Super worth it! Its thin rice vermicelli noodles were cooked al dente, firm to the bite but still slightly tender, but one thing I absolutely loved about its mee siam was the soup. 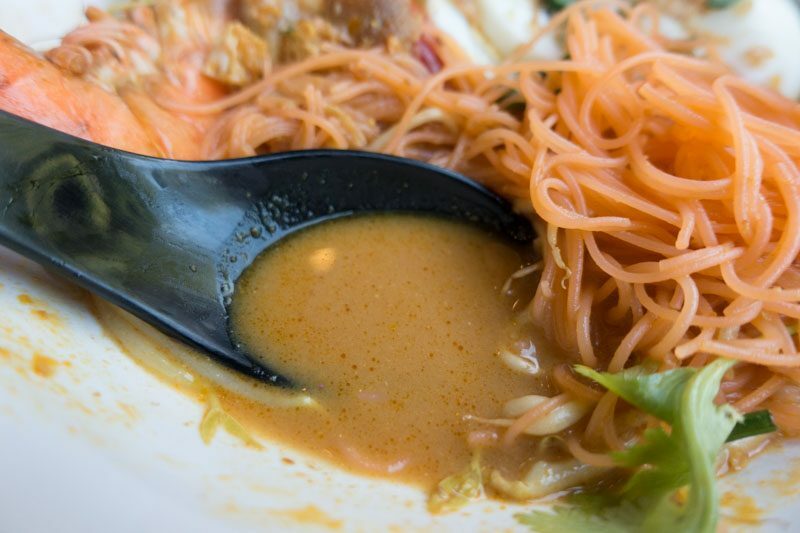 Most mee siam broths are oily and made with mostly chilli paste, thus resulting in a tart and spicy light broth, but [email protected]’s mee siam broth was really light and tasted strongly of peanuts and dried shrimps. The only thing I might change about the dish would be to provide more soup and lesser noodles because the vermicelli soaked up the broth really quickly, leaving only precious spoonfuls of broth left to slurp up. I’m not even ashamed to say that I polished off the entire plate of King Brown (S$9.90) by myself. 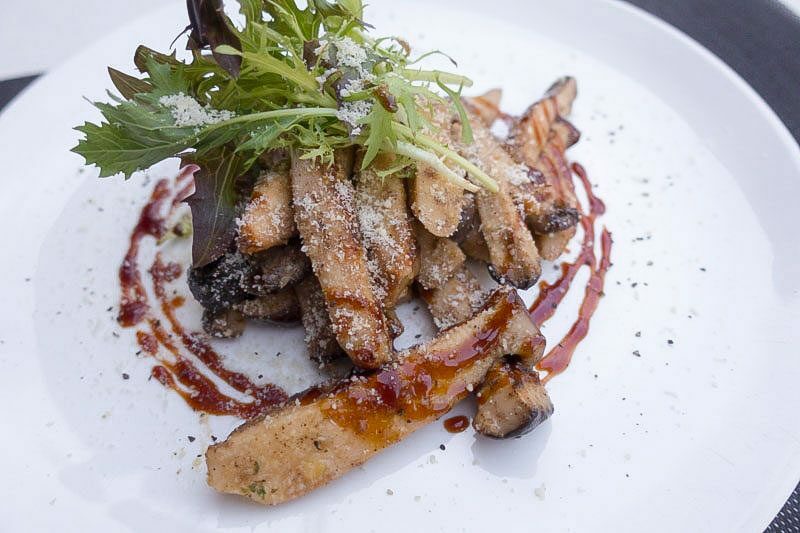 The King Brown is pan-fried king oyster mushrooms that are sprinkled with herbs, Parmesan cheese, and drizzled with barbecue sauce. The pan-fried king oyster mushrooms were juicy, thick and gave off an incredibly earthy and rich flavour. The Parmesan cheese added grittiness to the mushrooms and a hint of sharpness to the dish. Together with the smoky and tangy barbecue sauce, this dish was easily one of my favourites. I could totally order this dish and a glass of Tempus 2 Sauvignon Blanc (S$9 per glass) and I’d be a satisfied and happy little camper. I was really excited to try the ramen from the Japanese stall. The folks behind this hail all the way from Japan — more specifically, they own Enishi ramen, a Michelin Bib Gourmand winner from Kobe, Osaka. The Japanese chef was so insistent on serving this piping hot bowl of Chasu Ramen in Dashi Broth (S$12, spicy version S$13) at its optimal time — apparently, the robust dashi broth loses flavours once it starts to cool down. Since it only takes him three minutes to prep a bowl of ramen, he wanted to make sure he only served it when we were ready to have it. How dedicated. Needless to say, this bowl of ramen was amazing. 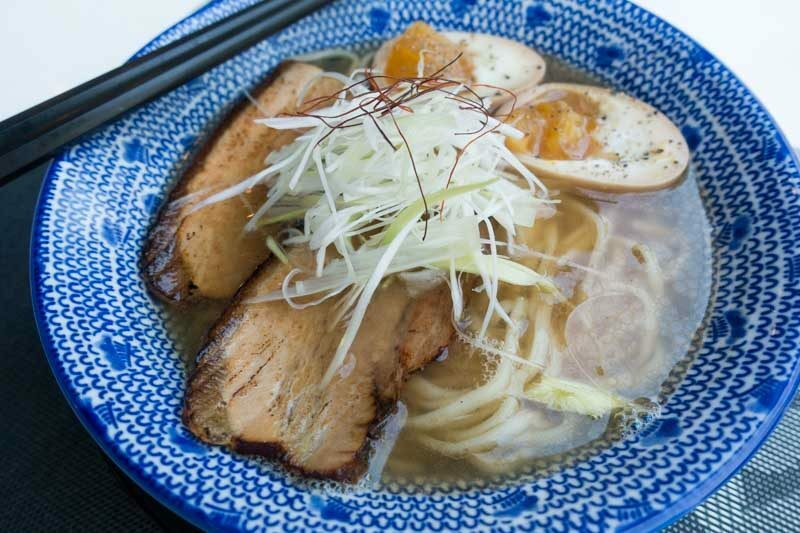 It took me right back to Japan, where I was seated along a counter-top and slurping up steaming hot ramen. I could almost imagine the usual Japanese chatter around me and a cup of warm ocha by my side. 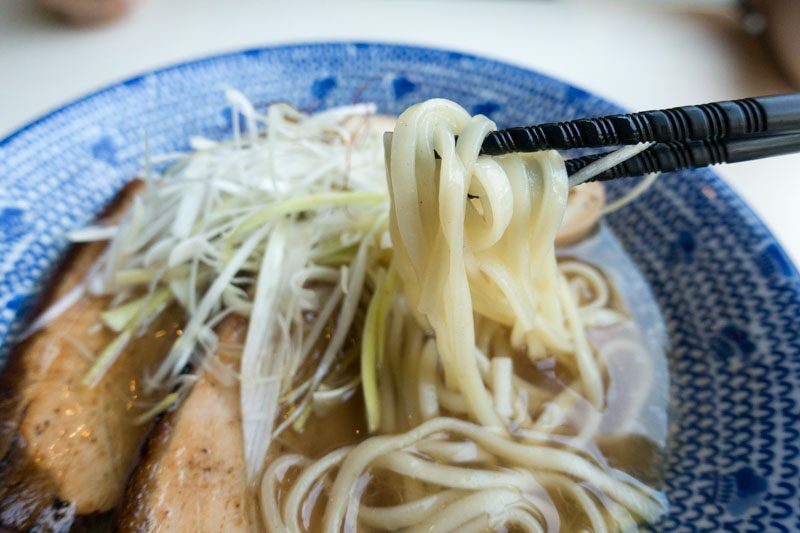 It came with a generous amount of ramen noodles, which were thicker and flatter than the usual round ramen noodles, two large pieces of chashu, a ramen egg, shredded cabbage slices, chopped scallions and saffron. The noodles were a little undercooked, but I really enjoyed the seared chashu, which was blowtorched to create a beautiful charred surface. 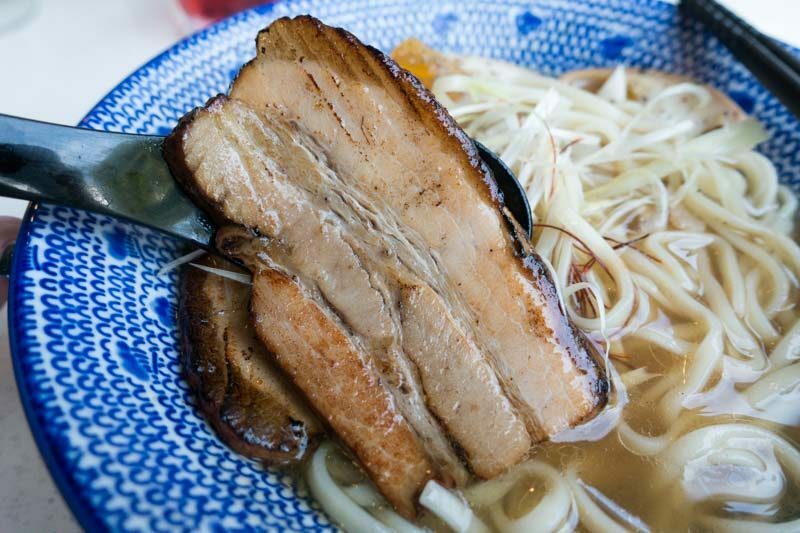 Torching the chashu gave it a light buttery and smoky taste, and despite being submerged in the clear dashi broth, the cha shu was still firm to the touch. To my delight, the thick layers of fat melted in my mouth when I ate it and the meat itself was tender and sweet. 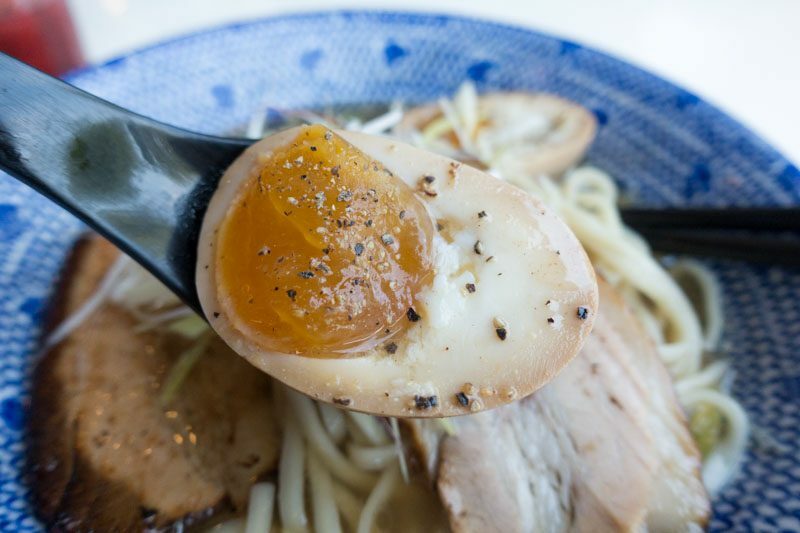 One thing that [email protected] did absolutely right was the ramen egg. The golden yolk was slightly firm on the outside but runny on the inside and the egg white was delicate and soft. 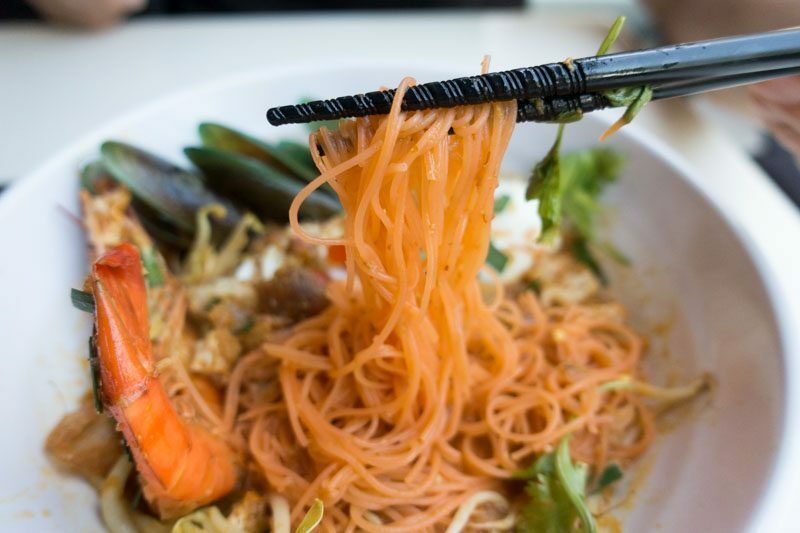 Topped with black pepper flakes and salt, I ate it on its own without pairing it together with the noodles or broth — it was that good. 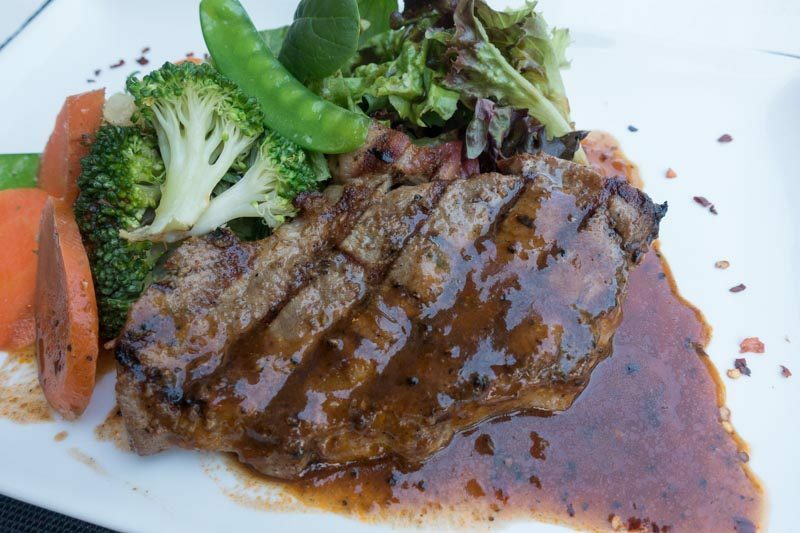 Ending off my meal was another one of [email protected]’s crowd favourites, the Pork Neck Fillet Steak (S$14.50) which was drenched in black pepper sauce and came with garden veggies. 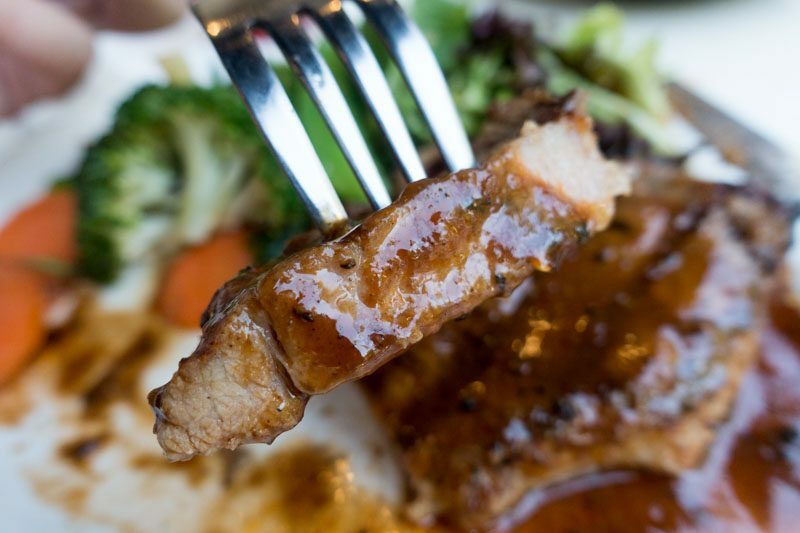 The pork collar steak is tough in nature because it’s carved from the pig’s neck and shoulder, but [email protected] did it justice. Though thick, the steak was more firm than tough, it certainly didn’t melt in my mouth like how a sirloin or ribeye would, but I didn’t have any trouble cutting or chewing through meat at all. The carrot slices and broccoli were huge and I used them to mop up the yummy black pepper sauce. You know that an eatery is genuinely amazing when you start raving to your family about it after the meal is over. In all honesty, I started gushing about how good this place was halfway through the meal, and I intend to bring my very picky parents back for a meal on the weekend. Not only are its dishes priced affordably, [email protected] serves multiple cuisines so you’ll definitely not have a lack of choice. In fact, if you’re with a group of friends, I suggest ordering one or two dishes from each stall to share. The only gripe I’d have about this place would be its location (I had to walk up Hillcrest Road to get there) and that it has no air-conditioning. But for the food, price and taste, I’d say without a doubt that it’s definitely worth it.